15-year-old Hatsuko (Higashi Ayu) lives with her elder brother in a humble town house. Their mother died when they were young, and the father disappeared. The brother (Shioya Shun) left high school before graduation to work at a factory, but spends their meager house-keeping money on adult entertainment. 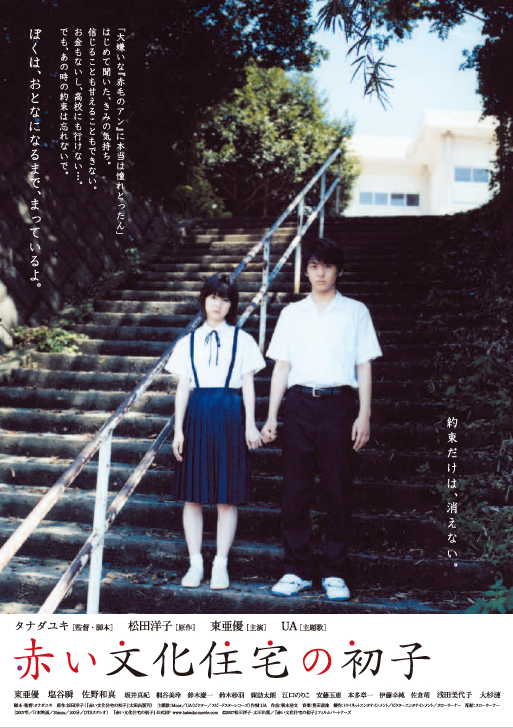 Hatsuko, who is poor and has no friends, finds emotional support in Mishima (Sano Kazuma), a boy in her class, who helps her with her study to go to a high school together. However, Hatsuko's brother causes trouble at the factory and gets the sack. Hatsuko gives up her dream of going to high school. In spring, the modest relationship continues between Mishima, now a high school student, and Hatsuko who works at a biscuit factory. One day, Hatsuko's long-gone father reappears. In a drunken frenzy, he sets fire to the house to go and rejoin the mother, leaving Hatsuko without a place to live. Hatsuko leaves the town on her own, drawing strength from the promise of marriage with Mishima.